~PAPER DOLL EVE~: Jessica, A Recycled Dancer Paper Doll To Color. Jessica, A Recycled Dancer Paper Doll To Color. Meet Jessica, my new recycled paper doll. She likes to dance. I finished her in a few hours. I named her after I girl she looks like. 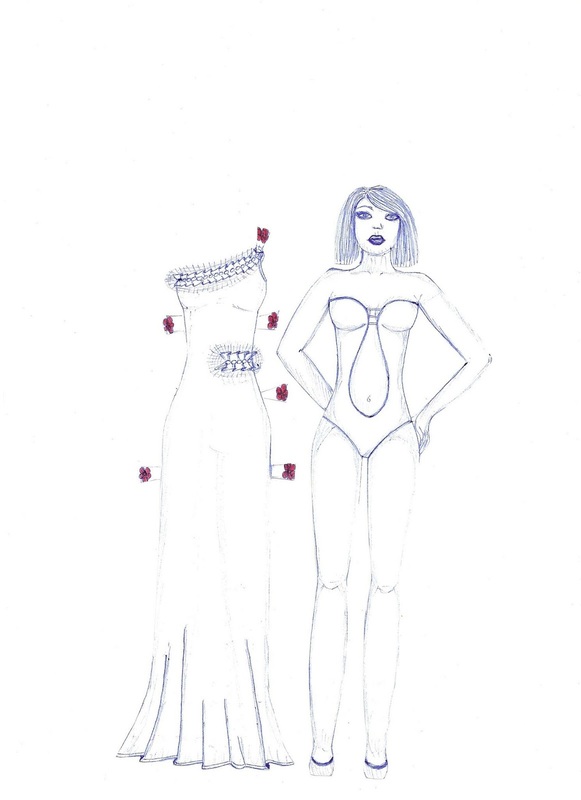 Everybody needs an evening gown. I had this particular design stuck in my head for a while. And here is my masterpiece. Costumes similar to this one are worn by carnival dancers in Cuba. this is a huge train of anyone who wants to dance to some conga. This is where I came in. I miss carnival time in Cuba. The feather boots are without doubt, the centerpiece of this costume. I drew them to give the costume a more carnivalistic look. under that unforgiving Cuban sun, I hope there's air conditioning on the blogosphere. 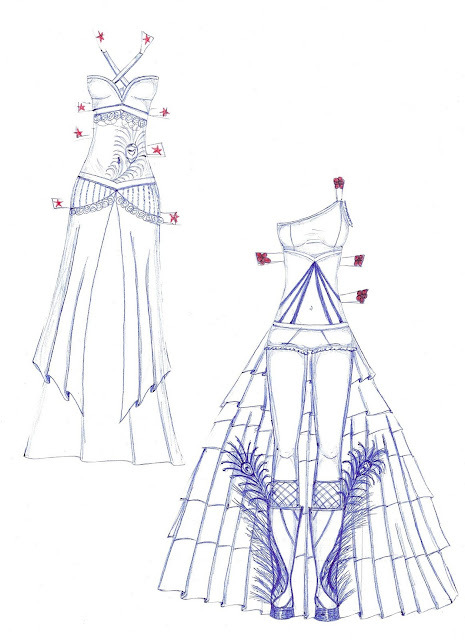 You might recognize the top design to be a belly dancer costume. There's no shortage of those on this blog. On this costume I drew my very first tattoo, it had to be a peacock feather. There's also no shortage of those on this blog. My obsession with belly dancers and peacocks is no secret. More Paper Dolls, Belly Dancers And Peacocks On Pinterest. Gorgeous Paper Dolls On Facebook.